In spite of great efforts, Ponce de Leon never was able to discover the fountain of youth. However, recent scientific studies have discovered something almost as good - the secret to finding love and being happy. The secret revolves around the sound frequency of 528 hertz. This audio frequency exists as the scientific "sound of love"...a specific sound wave that literally spreads love around the world. This love frequency is the "Miracle" note of the original Solfeggio musical scale. 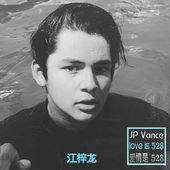 Young singing star JP Vance, along with his producer Jesse Pacheco, have written and recorded a song using the 528 frequency named "Love is 528." This Valentine's Day, for only 99 cents, listeners can enjoy a wonderful happy life with this scientifically proven frequency of love. The song "Love is 528" is available on iTunes. Once the song is purchased, a specific recipe must be followed to unleash the amazing powers of 528 HZ. It is recommended to listen to the song three times in a row on five different days. The key to realizing the magic of the song is to follow these steps. After the initial listening sessions, listeners can experience a lift just by playing the song and you will experience the magic of 528. The results are real and very amazing. This domino effect is setting off a new wave of harmony that will make every day Valentine's Day - a world of romance, love and appreciation year round. The song can be found online by searching "Love is 528" or "JP Vance" on YouTube.com & YouKu.com. The song can also be purchased on ITunes and CdBaby.